We just love typestyles. 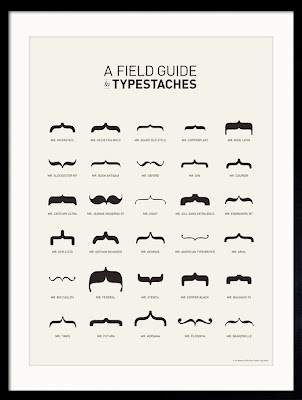 So naturally, we were delighted to come across A Field Guide to Typestaches by art director, Tor Weeks. Wow! What characters live within these ordinary brackets—so clever + fun! On Thursday, we will introduce some elegant new typestyles from our new Vera Wang Folio Collection. Love this!! So much fun! Looking forward to seeing the new typestyles from Vera!